As lover of all things Japanese, I was so excited to hear that Tani Japanese Restaurant and Bar opened in Naas town, in Kildare, just ten minutes from my home. Once the final renovations were complete, Tani opened their doors to a town filled with people eager to try the most talked about new restaurant opening in Naas town. I went there with my husband Gilmar, of Japanese descent, for dinner on a Friday night and although I’ve heard only positive reviews about the other Tani restaurants in Terenure and Phibsborough, I wasn’t sure what to expect from their little sister in Naas. For starters, we ordered tempura and dengaku. The Tempura was light and crispy exactly as it should be, served with a light and tasty soy based sauce. You can order mixed vegetable tempura or prawn tempura. Our second starter Dengaku is called after dengaku sauce which is a Japanese sweet and savoury miso based sauce. It was served with crispy tofu and aubergine with a tasty dengaku sauce drizzled beautifully over it. For mains we ordered a sushi lovers platter and vegetable katsu curry. The presentation of the Sushi Lovers Platter was stunning and served on a wooden sushi boat. Each piece of sashimi and sushi was fresh and delicious. The second mains was a Vegetable Katsu Curry. There was also the option of chicken katsu curry, but we were curious to try the mixed vegetables in a katsu crumb and Japanese curry sauce. It didn’t disappoint and there were no leftovers! Both the starters and mains went perfectly with one of our favourite Japanese beers Asahi. For dessert we shared a Sticky Toffee Pudding which we really enjoyed. However we’d love to see some Japanese inspired desserts options on the menu. I’m thinking of something with matcha. We really enjoyed our first dining experience at Tani and would highly recommend it. The staff were friendly and attentive. The atmosphere casual and trendy, and I was particularly impressed by the Japanese style interior decor and layout of the restaurant. With a bill coming to just €65.50, for a three course meal for two, two beers and a green tea, I’m already planning my next visit. A self-taught cook, food-writer and author, Fiona Uyema is one of Ireland’s leading Japanese cooks and cookery instructors. Passionate about bringing the art of Japanese home-cooking into kitchens across the country and further afield, her first book, Japanese Food Made Easy was published in September 2015. 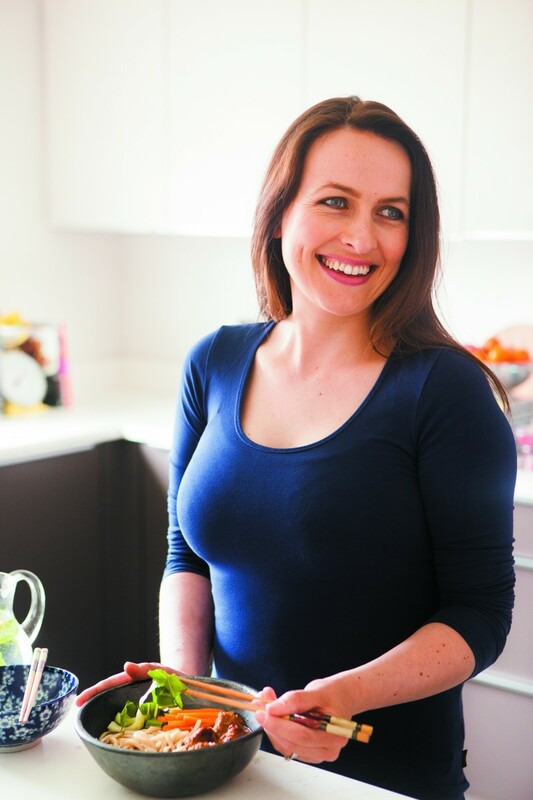 Fiona now lives in Co. Kildare with her husband and two sons where she teaches workshops, provides corporate classes on the art of Japanese cooking, provides consultancy to restaurants and the food industry and blogs about her Japanese food adventures on Fiona’s Japanese Cooking Blog.